This was a submission to test the form - can it be removed? 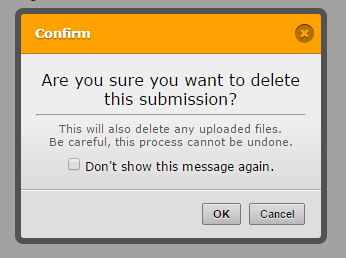 When deleting submissions individually, you will see this warning message (see screenshot below). Please note that deleting submission data is irreversible and will permanently remove it in our servers, including the file uploads on them.